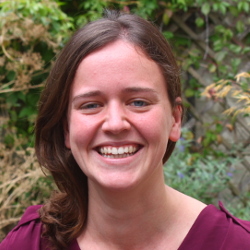 Zoe Driscoll is Mokoro’s Researcher focusing on land and natural resources. Zoe has spent over six years at Mokoro carrying out assignments for a variety of clients (DFID, Irish Aid, CABRI, MFA Finland, UNDP, UNICEF, WFP) and has country experience in Tanzania, Kenya, Uganda, Malawi, Ethiopia, Indonesia and Mongolia. She is currently on the core team for the WOLTS project – a multi-country strategic research project in support of women’s land rights. Zoe has played a key role in the baseline surveys, including methodology development, database design and management, field team training, fieldwork management, and data analysis and reporting. Other WOLTS inputs have included community selection and background research, partner capacity development and monitoring, and communications and dissemination work. Zoe also has extensive experience of providing research support to large, complex multi-country and country programme evaluations includes Mokoro’s Evaluation of Finnish Development Cooperation Country Strategies (with a particular focus on civil society engagement), the Independent Comprehensive Evaluation of the Scaling Up Nutrition (SUN) Movement, and the Global Evaluation of UNICEF’s upstream work in basic education and gender equality. Zoe has also provided long-term support to Mokoro’s Country Portfolio Evaluations for WFP, including most recently as the gender and M&E focal point for the Ethiopia Country Portfolio Evaluation. Zoe leads Mokoro’s broader communications work, including the website, e-newsletter, production of publications and social media. She keeps the Mokoro-hosted Land Rights in Africa website updated and organises Mokoro seminars.